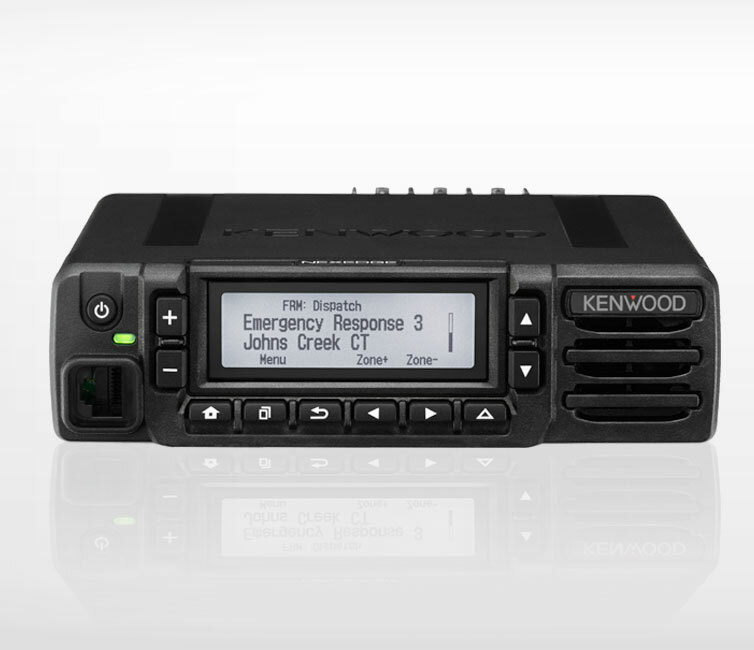 This adaptable mobile radio supports both NXDN® and DMR digital protocols as well as mixed digital/FM analog operation, enabling it to serve with distinction in a wide range of enterprise and operation-critical applications. Designed with flexibility in mind, it’s packed with convenient features like Bluetooth® for hands-free operation and built-in GPS. This model offers greater freedom of installation, the radio’s front panel can be used as a remote control head (this requires an optional upgrade, to be available in the future). Additionally, for expansion capability a software license certification system facilitates extensive customization.